The fear of missing out can have a powerful effect. Creating a sense of urgency among your website visitors can help make more people buy and less “go home and think about it”. Creating a sense of scarcity and urgency is a surefire way to increasing sales. Studies through the years have shown that this tactic plays a major role in not only what a consumer buys, but when they buy it. The power of this psychological strategy can be seen worldwide, and as a consumer, you’ve doubtless found yourself lured by the words “limited time” and “while supplies last” at some time or another. It’s a tactic we’re all familiar with. “This offer ends at midnight!” and “Order within the next 12 hours and receive…” After all, who doesn’t love a good, limited-time discount? As a consumer, you’re getting a bargain; as a merchant, your sales are hopefully spiking. This tactic plays into the theory of loss aversion, where most people prefer to avoid losses than acquire gains. Time restrictions ramp up that psychological trigger. Stock shortages can represent a nightmare to merchants, but with some smart marketing, can greatly benefit your business. By making your clients aware of a stock shortage, you’re advertising a product’s scarcity and increasing its perceived value. Think of your past shopping experiences: who hasn’t fallen victim to a marketing tactic that advertises a hot, rapidly selling product? Nobody wants to miss out on a fast-selling product that countless others have already taken advantage of. Limited edition is an age-old tactic that has seen continuous success throughout the years. By creating a product with a set stock, customers are urged to take immediate action in order to reserve their once-in-a-lifetime product. You’ll be surprised by how many shoppers make a purchase simply due to the fact that come tomorrow, said product won’t ever be available for purchase again. High shipping and handling cost is the leading cause for cart abandonment. By offering limited time free shipping, customers are urged to make their purchase now rather than later. 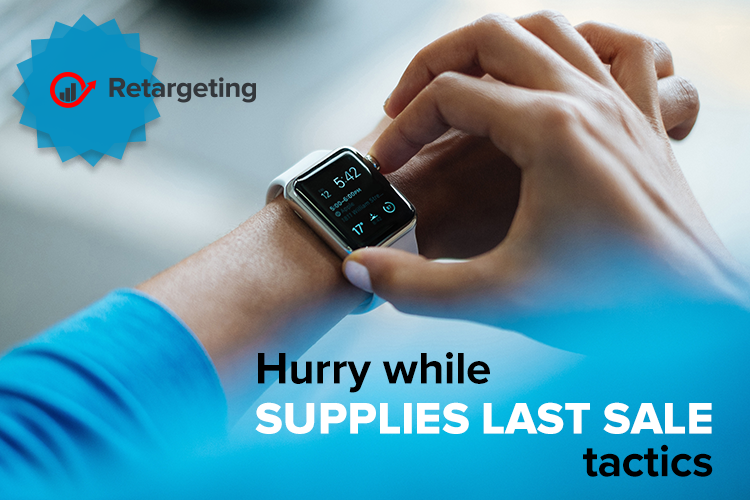 While this sense of urgency may not seem as appealing as a limited-time promotion, studies show that consumers are more likely to respond to free shipping than a product discount. Word choice plays a critical role in the effectiveness of your calls to action. Well thought-out, carefully worded copy is essential to successfully invoking urgency and scarcity. Telling customers to “buy now” doesn’t have the same effect as “Hurry, supplies are running out fast!” Letting your customers know that your product can sell out at anytime helps create a sense of fear and urgency. Customers don’t want to regret not taking action when they could have, and using the right copy can remind them of that. Whatever strategy you decide to use, make sure you’re using urgency and scarcity responsibly. Customers who feel they’ve been tricked into a purchase aren’t likely to remain repeat, loyal customers. Your goal is to push customers to buy now. If customers make a purchase they were pressured into, it can cause them to regret their purchase, want a refund, and feel differently about your business. Advertising in an ever-changing market!